With more than 15 years of experience in music, music tech industries and new digital media, Virginie Berger has a deep and broad background in managing start-ups as well as global organizations. She also has a real expertise in connecting new technologies/brands to new audiences. 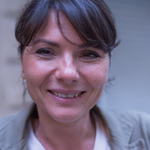 Moreover, Virginie is the founder of DBTH (dbth.fr), a leading agency in strategy and business development for music technologies, creative industries and innovative services in France and worldwide. The agency specializes in developing music tech startups and creative innovative digital services in France and worldwide and supports clients’ expansion in international markets, including the emerging territories such as the Middle East. Its client list includes Twitter, iMD, Playpass, Ubifrance, Mixgenius, Bandzoogle, France Digitale or Musicmetric. Next to her agency, Virginie still runs her website Don’t believe the Hype (blog.dbth.fr), specialized in the digital and music industries, and is a prominent lecturer in digital strategies at many universities, conventions and conferences.